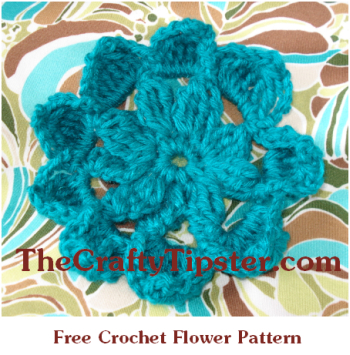 Like all of my other free crochet flower patterns, this one is designed to be workable with any thickness of yarn and needle size. The biggest thing to remember is to keep the loops on your hook fairly tight at all times. 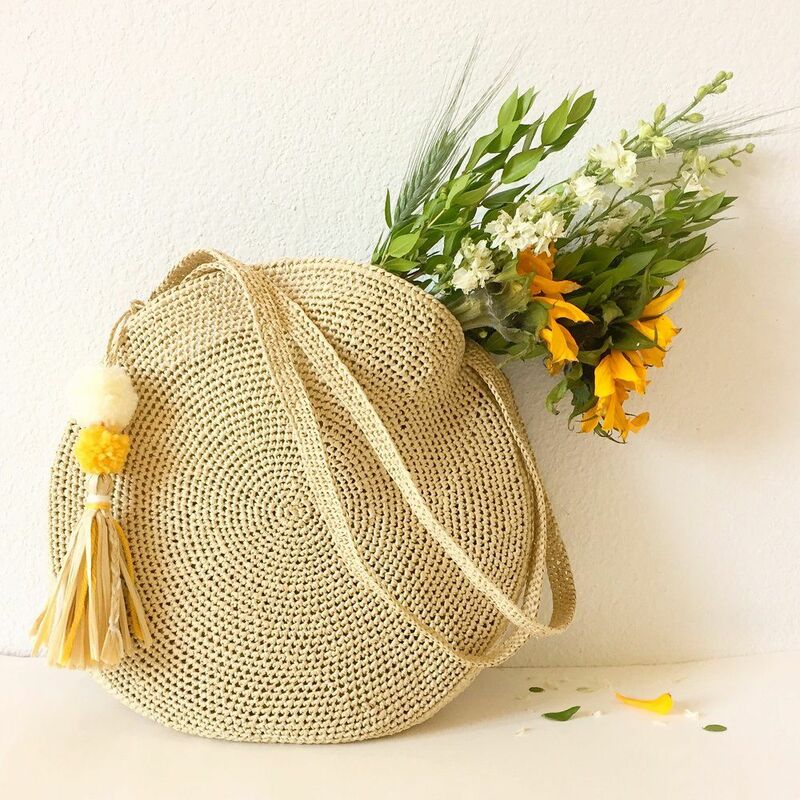 This flower pattern is fairly forgiving but large loops can be very noticeable – so, it’s better to rip out a few stitches than have big loops in odd places. Once you get the idea behind the construction of this crochet flower, they are quite quick and easy to make. Yes, once again, one of my original crochet patterns looks worse than it is. I tend to write out my patterns rather than rely on charts and abbreviations. 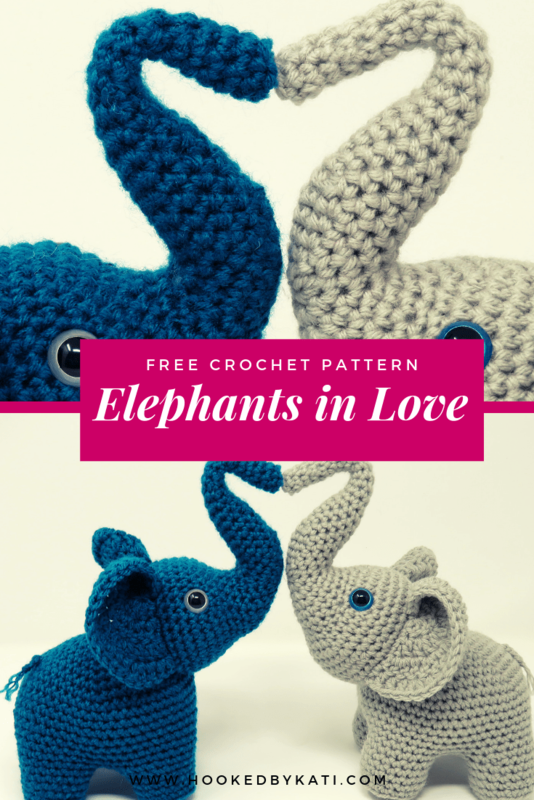 Maybe it’s just me, but, it seems like that would make things easier for a beginner and more experienced crocheters can just look at the photos to know what to do. This is one of the few times that I prefer not using the Magic Circle technique. 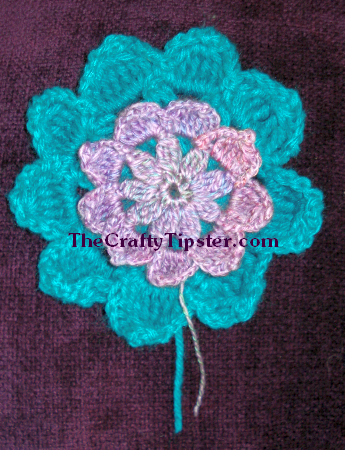 Instead, through trial and error, I found this was the best way to get the center of the crochet flower to look uniform. 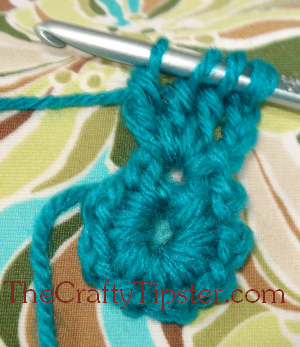 Slip stitch into second stitch from the beginning of your chain 5 to make a ring with a little tail. Chain 2. Single crochet in ring over tail and first chain stitch. Chain 1. Single crochet, chain 1. 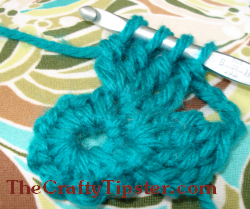 Continue working around the ring until you have 9 single crochet and chain pairs. 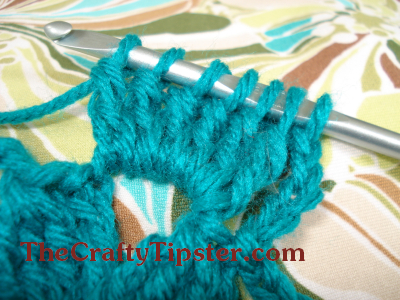 Slip stitch into chain 2 to end round. I’ve found for this crochet flower pattern, that doing this bit of an unorthodox ring provides the neatest center for the flower. 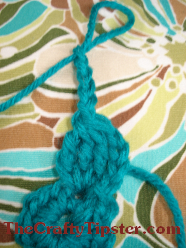 Chain 4 to begin the first pouf-like group of four treble (2 loops on hook before making stitch) crochet. 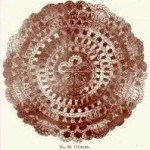 The poufs are created by the following method…make a standard treble crochet stitch (skip the standard treble crochet in the first pouf as the chain 4 replaces it). 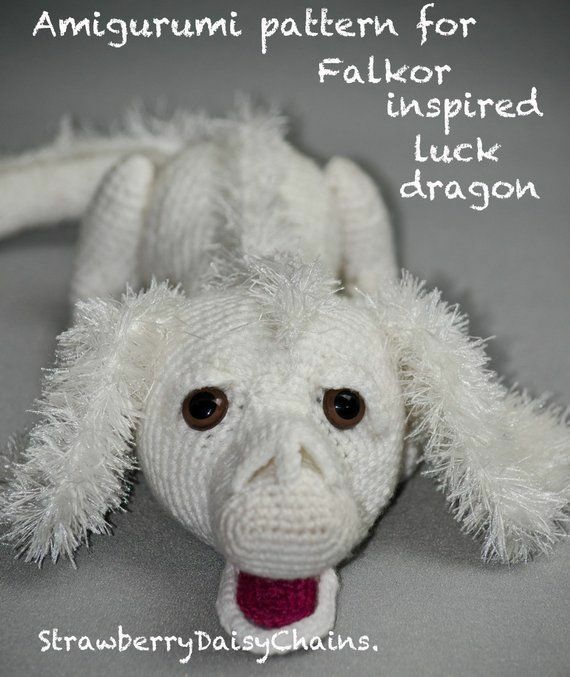 * working in same chain stitch, yarn over hook twice, insert hook into the next chain. Yo, and pull under chain. Yo, and pull under two loops on the hook. Yo, and pull under next two loops on hook. * You should now have an extra loop on the hook. 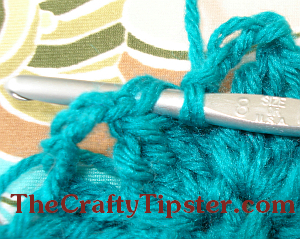 Repeat between the *’s until you have a total of four treble crochets in the same chain on the ring and there are 4 loops on your crochet hook. 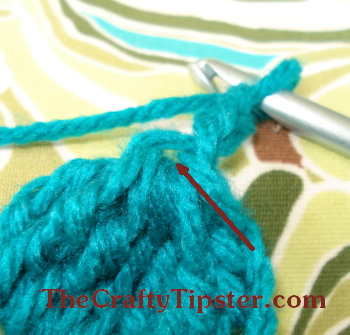 Once you have four loops left on your hook, yo, and pull the yarn through all 4 loops on your hook. Make the next 4 treble-crochet pouf. Continue working around the ring until you have a pouf in each of the chains on the ring – 9 poufs in total. 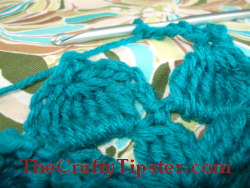 Chain 5 and join the round with a slip stitch into top of chain 4. You are going to make treble crochet poufs again this round. This time, you’ll be bundling six of them together in the loop created by the chain 5’s of the previous round. Chain 3 at the top of the pouf. 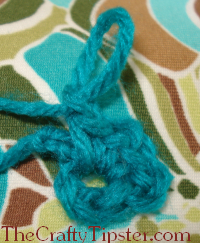 Slip stitch into the loop behind the first chain (as shown in the photo). Yo and pull thread behind and around the top of the pouf. 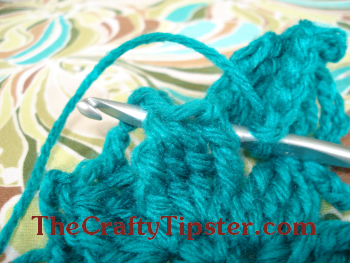 Make a fairly tight single crochet – it helps to pinch the pouf together between your fingers while making the stitch. 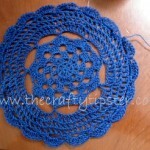 Continue making poufs/petals until you’ve gone all the way around your crochet flower. 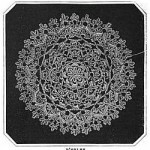 Don’t worry about the first petal looking wrong with that big gap between the chain and the treble crochets. When you make the last single crochet around the top of the first pouf, it will close the first petal. You can also use your tail to pull the first petal a little tighter. End off. Weave yarn tail into back of your crochet flower. 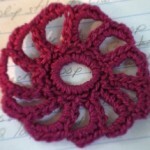 As I mentioned earlier, this crochet flower pattern can be worked in any size thread or yarn. The size of the flower is greatly influenced by the thickness of the yarn you use. As you can see from this photo, the turquoise flower is quite a bit larger. 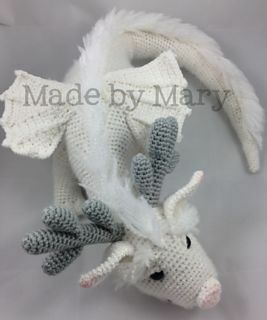 I used a random, 4-ply acrylic yarn for it. The other yarn is some vintage Deny’s Brunton Designer Yarns Magicolour. It looks to me like it would take four strands of the Magicolour to equal the thickness of the turquoise yarn. I suspect a crochet flower made from Caron’s Simply Soft (their colors are so bright and wonderful for making crochet flowers) would produce a flower about mid-way between the size of the two I made. Love it! A simple, one color flower that looks nice too.